The Dota series has been one of the most successful games in the Multiplayer One Battle Arena -- and still continues to be. With the release of the most recent Dota game in July 2013, the series continued to soar to new heights with multitudes of players signing on and playing every day. The sequel to the first Dota game, Dota 2, also shared in the first game’s success or possibly even bigger. In fact, it became one of the most played games on Steam, garnering over a million players. In addition to thousands of players playing the game, thousands are also investing in accessorizing their players with new skins, costumes, weapons, and even Dota 2 Rank Boosting. All in the name of the game! What Makes Dota 2 So Awesome? The first thing that you’ll notice when you play the game is the graphics. The details of the game and the animation improved so much since the first game. Even the item and weapon icons received really cool makeovers. All of these contribute to the total aesthetic appeal of the game. One of the biggest changes that this game adopted is the enhanced game streaming feature. This feature allows you to watch the games of other players real time. This is especially good for beginners because beginners can watch live battles and learn some of the best strategies used for the game. And it it one of the best ways to learn from the Dota 2 boosting as well. Dota 2 introduced a matchmaking feature which matches experienced players with beginners to even out the battlefield. The basis for your match was the number of your behavior points which you accumulate if you are “behaved” in the game. Now, the game doesn’t really put much importance on your behavior points in matchmaking (it still does but not as much as before). In the latest matchmaking update, the criteria are based not solely on behavior points but also on how many games a player has played. This is to ensure that bots and toxic players can be screened out. Unlike in the last Dota game, you can now automatically follow a hero in the field. Back in the previous game, you had to keep on clicking on the field to follow another hero. The second installment made things easier for players to set their heroes on auto-follow mode. With the new game, some features of a few items and heroes were changed to further make the game more fun and challenging at the same time. For example, the well-loved Soul Ring allows you to have additional mana even outside of your maximum mana capacity. For heroes, some have more enhanced skills to make things easier and more fun. For example, Death Prophet’s Exorcism attack previously couldn’t hit enemies in a fog. In the new Dota 2 game, it now can. It can also hit invisible units as well. While the skins, weapons, customization, and Dota 2 Boosting need to be bought, the game in itself is free. After you’ve enhanced your skills and increased your character levels, then you may try out the bought options to further increase your game experience. How Can Boosting Help You? As you play, you’ll want to level up your ranking so that you can join the more experienced players on the battlefield, and you can unlock a bunch of cool stuff, too. Of course, there’s always the option to keep on battling until your experience levels up. However, some players find this way too slow and time-consuming. 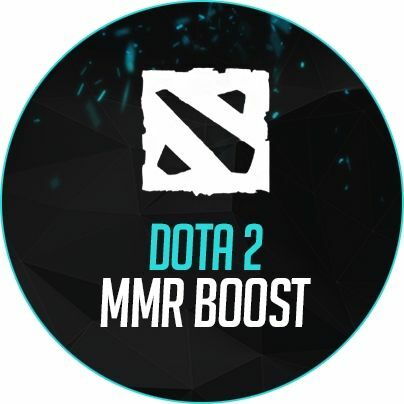 Another option is to buy Dota 2 mmr boost. With a boost, players can reach higher levels faster than they usually would. What exactly are some of the benefits of getting a Dota 2 boost? The higher you advance in level, the more items you’ll be eligible to get. This is especially true for cosmetic items, which you’ll get whenever you level up in ranking. As mentioned above, you’ll also be able to play with the bigger players as you rank higher. This is very important if you want to gain more experience and if you want to improve your skills. With more experienced players, you’ll learn more advanced strategies and have more chances of winning by teaming with better players. Lastly, getting your rank up through a Dota 2 boosting, you’ll get yourself bragging rights for your game prowess. When it comes to Dota 2 boosting, we only offer the best services to give you the best gaming experience that you can have with a higher level. If you want to buy DotA 2 rank boosting from us, we offer more than just the boosting. What we offer is our credibility and our promise to serve you. We understand that a lot of people are hesitant to buy Dota 2 boosting services online. Proboosting offers you an easy order process that is very transparent so you won’t worry about your purchase. As part of our promise to prioritize your safety, we have a team of excellent customer support representatives to aid you if you have any concerns or issues regarding our boosting service. Our customer support team is online 24/7 so you may contact them at any time of the day. The higher you get in ranking, the better your gaming experience will be as a whole. Luckily, you don’t have to work too hard to achieve a higher level. You can have a quick DotA 2 rank boosting with our help. Proboosting’s goal is to help you have a more fun game time by helping achieve your goals faster and easier. We can get you playing with the bigger guys in no time.